The statistic shows the average ADSL download speeds for fixed broadband connections in the United Kingdom (UK) from November 2010 to November 2017. 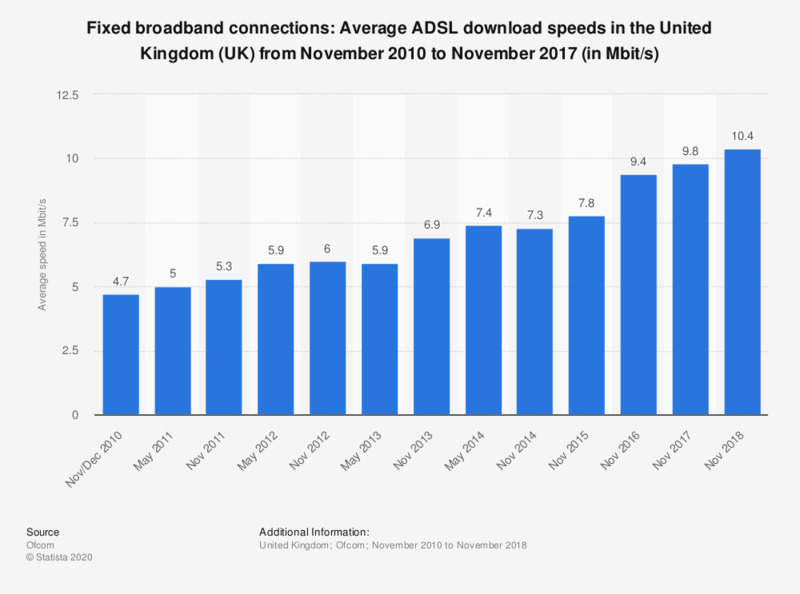 In November 2017, the average ADSL download speed reached 9.8 Mbit/s in the United Kingdom. ADSL stands for Asymmetric digital subscriber line and it is a data communications technology that allows for faster data transmission via copper telephone lines. Compared to average cable download speeds, ADSL download speeds were considerably lower.